What is Kids Trucks: Preschool Learning? 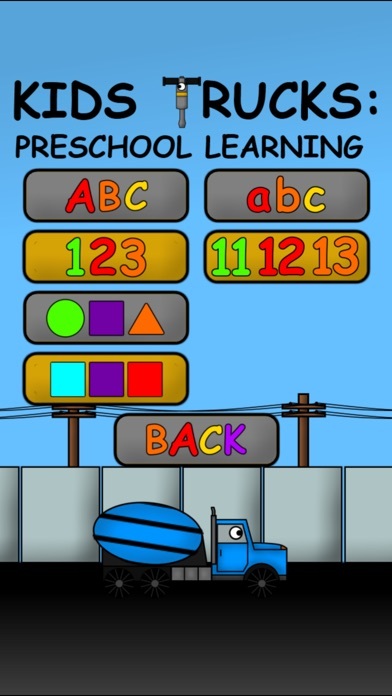 It is a lot of truck learning fun packed into one app. 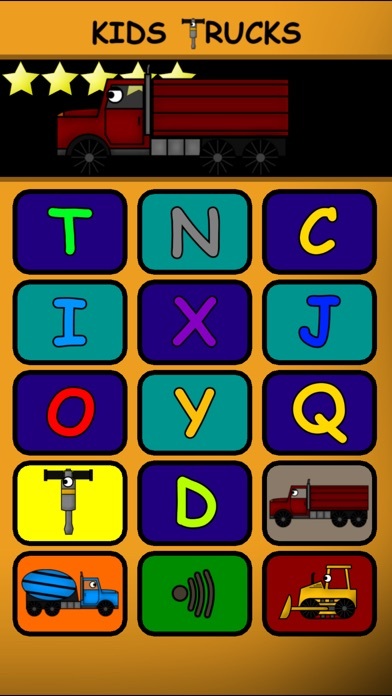 This app works with toddlers and preschoolers on learning their letters, numbers, colors, and shapes. It provides a lot of positive encouragement and incentives to help motivate children to learn and to feel good about their accomplishments (including celebratory fireworks!). 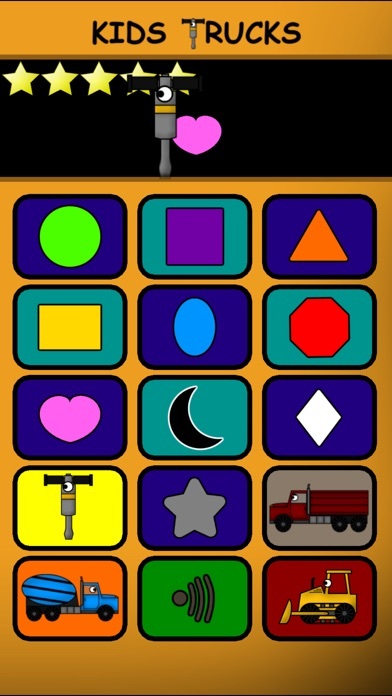 The app also provides fun modes when your student needs a break from learning as well. Learning Modes: There are currently six learning modes for preschool children and toddlers to use: upper case letters, lower case letters, numbers 1-10, numbers 11-20, shapes, and colors. The child is asked to identify a certain item. When they pick the correct one, they are showered with praise. Help is provided if they have trouble picking the correct response as well. When the child earns five stars, a fun truck animation is provided. 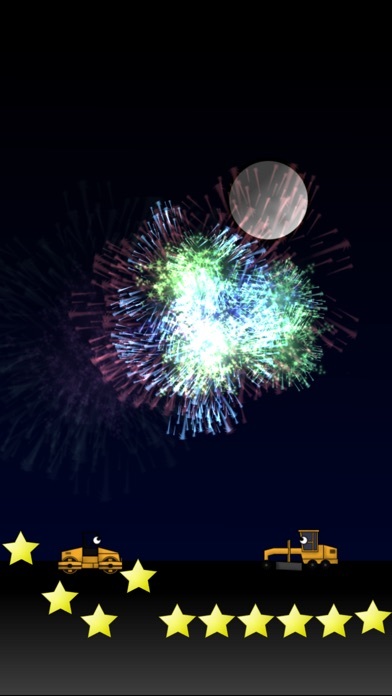 When they reach ten stars, they can then use the stars they earned to shoot off their own fireworks! Free Play Mode: In free play mode, your student can act like they have their own phone or just continue to explore numbers. Touch the numbers and hit the call button to play your recorded messages! Also, they can play with the fun truck animations and sounds. Record Messages: You can record your own messages both for the free play modes and learning modes. Personalize your own positive encouragement statements for your student or have fun recording silly messages for them to hear while they play. * Bright and fun animations. * Easy for toddlers and preschoolers to use independently or with an adult. * Lots of positive praise and encouragement to help kids learn their letters, numbers, shapes, and colors. * Record your own positive encouragement and messages. 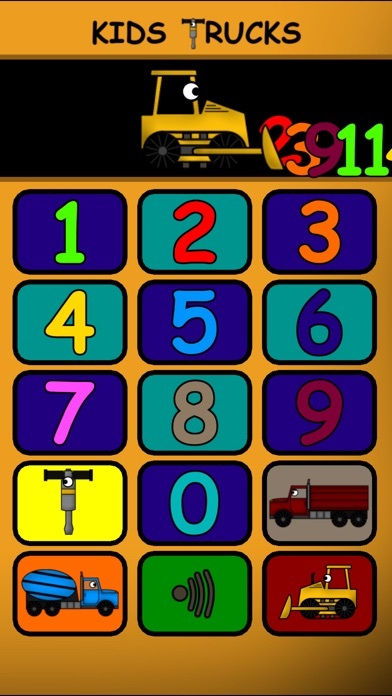 Construction Alphabet and Kids Trucks: Numbers & Counting - Check out two other great educational construction app. If you enjoy Kids Trucks: Preschool Learning, please take a moment to leave a great review. Thanks! Thanks to all that have enjoyed Kids Trucks: Preschool Learning! If you have a minute, please consider reviewing the app. Your reviews mean a lot!